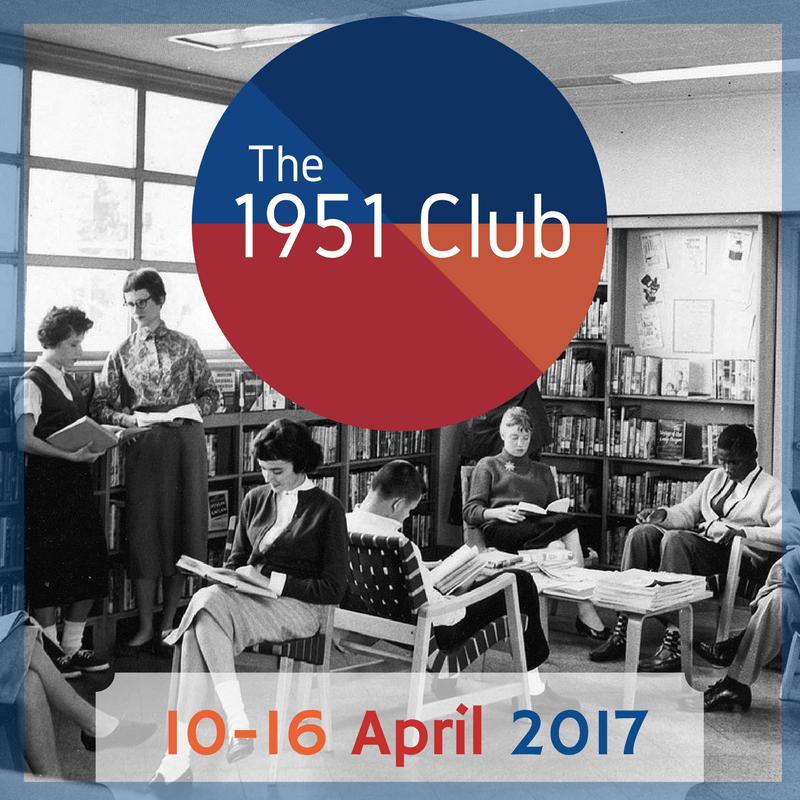 I’ve read and blogged about quite a few books that were published in 1951 in recent years, so if you’re interested in my thoughts on them click on the titles. Of course 1951 was an important year in Britain as we had The Festival of Britain which went on for most of the year – or at least until the general election when Churchill became PM again and he saw the whole thing as being Socialist so he shut it all down – spoilsport! But apparently the Festival was a life-saver for the people who had by then been suffering under austerity for years and years what with the war and even worse rationing post-war. It cheered people up no end to see the bright colours and modern designs, and was a great opportunity for artists, designers and makers. Before I started blogging I read and enjoyed Festival at Farbridge by J.B. Priestley which was published in 1951 and has local events featuring the festival. I blogged about the festival some years ago and if you’re interested you can see that post here. 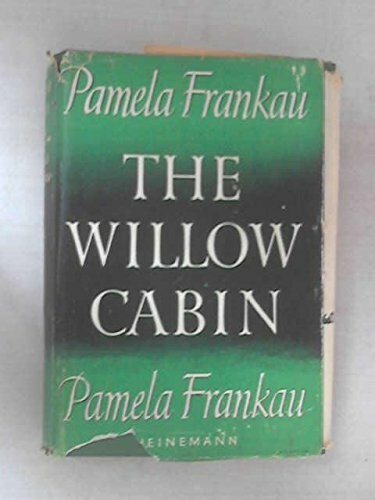 The Willow Cabin by Pamela Frankau was published in 1949, my copy is a 1951 reprint. This is the first book that I’ve read by the author and I’ll definitely be seeking out more of her books. 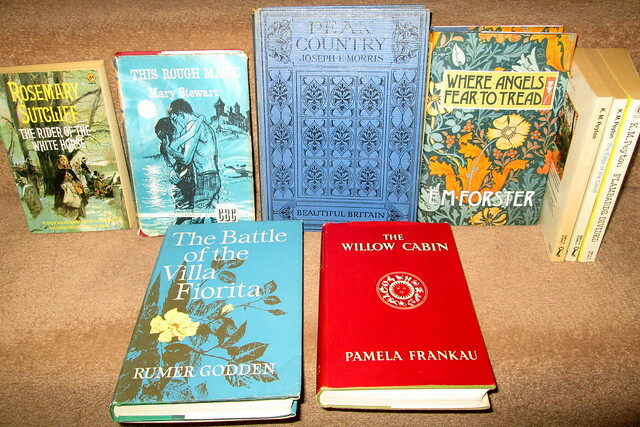 The Willow Cabin covers the years from 1936 to 1948 and the settings are various but mainly London and America. Caroline is a 22 year old aspiring actress, in fact she’s really talented at it, but she’s also rather immature. Her relationship with her mother and step-father is fraught and when she falls for Michael a well-known surgeon who is much older than her she moves out of the family home into an hotel. Michael is unable to get a divorce from his wife (hmmm) but that doesn’t put Caroline off and when war breaks out she throws up her acting career to follow Michael around, they’ve both joined the army. For most of the book Mercedes, Michael’s Anglo-American wife is absent, apparently in France, possibly helping the resistance or even dead. But in the last third of the book the war is over and Caroline goes to America where Mercedes has pitched up. Mercedes had been very well off before the war but she has used the last of her money to buy a farm in America and to build a small house for a family of German refugees who are supposedly her employees along with a French family of refugees. The two families can’t get along and have absolutely no sense of gratitude for everything that has been done for them. I’m sure that that was Frankau’s way of pointing out how the UK had been bankrupted by a war not of its making and had got nothing out of it but a debt that took generations to pay off and absolutely no thanks from the rest of Europe for all that had been done for them and the sacrifices made. The atmosphere of wartime London in particular is very well portrayed I think, of course the book was written not long after the end of the war. The title of the book was taken from Shakespeare’s Twelfth Night and there seems to be some confusion on the internet as to what it means. However I have always understood that willow was worn by women whose loved ones were away from home – at war or at sea or whatever. It was a way of telling people (men) that they weren’t really on their own, they were waiting for the return of their lover. All through reading this book I had the 1970s song All Around My Hat by Steeleye Span going around in my head, if you don’t know the song you might be interested in listening to it now. I believe that Virago have reprinted this book as a modern classic so I’m counting this one towards my Classic Club Challenge, I’m not far off reaching 50 now. We had a close look at the weather forecast this morning and decided it was good enough to sashay up to the wee Highland town of Aberfeldy to go for a good walk up the Birks of Aberfeldy, more about that at a later date, but you can see images of it here. It ended up being a gorgeous day up there and on the way back we decided to veer off to Pitlochry, mainly because I had heard that there was a bookshop in one of the railway station buildings. In fact we discovered that you have to go on to the station platform to get into the shop which presumably used to be offices or a waiting room or some such thing. You really have to know that it’s there as you will never stumble across it, unless you’re getting off a train. There was a display of hardback books from the Reprint Society right at the door so I wasn’t even in there two seconds before I had a couple of books in my hands and in the end I took books to the counter to pay for them. The sales assistant called me ‘madam’ – I’m never sure if that’s a good or a bad thing, it makes me feel old anyway. However, he was very impressed with my haul of books and he gave me a discount despite them already being ridiculously cheap compared with other secondhand bookshops. I felt quite bad about that as I think the proceeds go to a local charity. So what did I buy this time? I loved the first Flambards book, they were published by Puffin aimed at older children I suppose but I only got to know about the books after watching Flambards on TV in 1979 and that was not a children’s programme. I’ve already read the first book in the series. 9. Peak Country by Joseph E. Morris which is an A&C Black book from their Beautiful Britain series. 1914. Not a bad haul I think you’ll agree. I really do have to concentrate on my own books now!